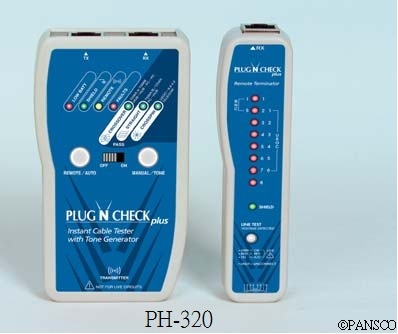 The plug‵N′check is our easiest-to use cable tester yet. Simply plug in both ends of a cable, and the easy-to-read LED display explains the cable type and checks whether cable is faulty or good automatically. A shield LED shows results of the shielding check and battery low indicator saves you from misreading the tester in case of low power. Will make work shorter and easier for the layman and the professional alike. Especially suited for installation and maintenance of residential networks. Instantly indicates cable type and tests for faults. Button-free operation, just plug cable in and read results. 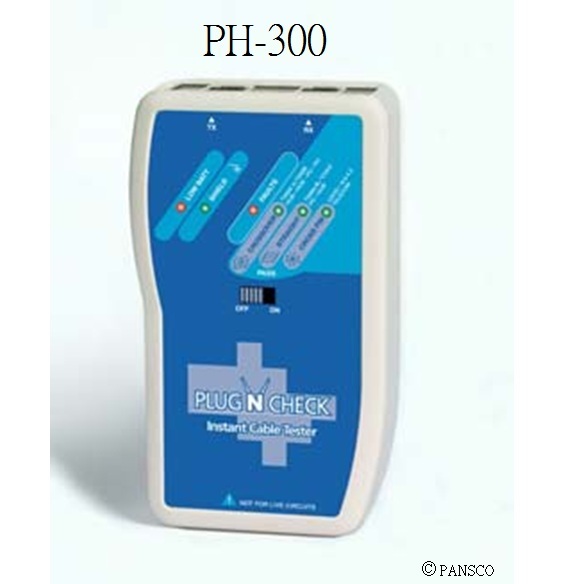 Checks datacom/network, voice/telecom, crossover and shielded cable. Battery-low indicator prevents misreading results. Suitable for home & commercial application. UTP, STP, T568 A / B, 10Base-2, BNC / COAX and USOC 8,6,4,2 cables.